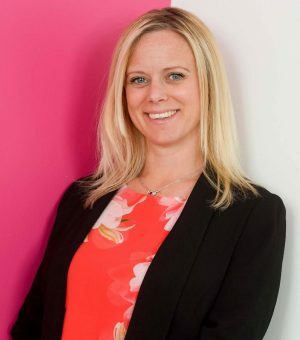 This week it’s the turn of Laura Mashiter, Managing Director of Refresh PR. 2016 may be coming to an end, but that doesn’t mean this week has been any quieter! One of the things that really stood out was Campus Capital’s launch of its first £2million fund. Based on campus and run by students, it will invest in university spin-outs, alumni businesses and local start-ups. Having started my own business, I know how important it is to have solid entrepreneurial skills and courage in your convictions. Providing investment to start-ups at such an early stage can only be beneficial for the economy, and it’s particularly encouraging to see the North leading the way. Collaboration is one of the key cornerstones of our business here at Refresh and it’s an approach that has really paid off, enabling us to build long-term relationships with some of the region’s most forward-thinking creative businesses. One of these partners, digital marketing agency Fat Media, this week unveiled some of its latest work with Too Good To Be Gluten Free. We’re in the midst of a boom in health-conscious brands, with consumers paying more attention to their own wellbeing, and in the New Year we’ll be putting the mince pies to one side to lead the PR for one of these new emerging brands. With 2017 nearly here, I wanted to reflect briefly as the year comes to a close - while there have been challenges this year both politically and economically, there’s also plenty to celebrate and this week is no different. From our Northern Quarter neighbour boohoo.com’s £3.3m acquisition of Ancoats-based PrettyLittleThing, to Sky Betting and Gaming doubling its presence in Leeds, the news this week demonstrates the diversity of industries operating in the North of England and the volume of success stories.